A few tell-tale signs signify summer in Bend. 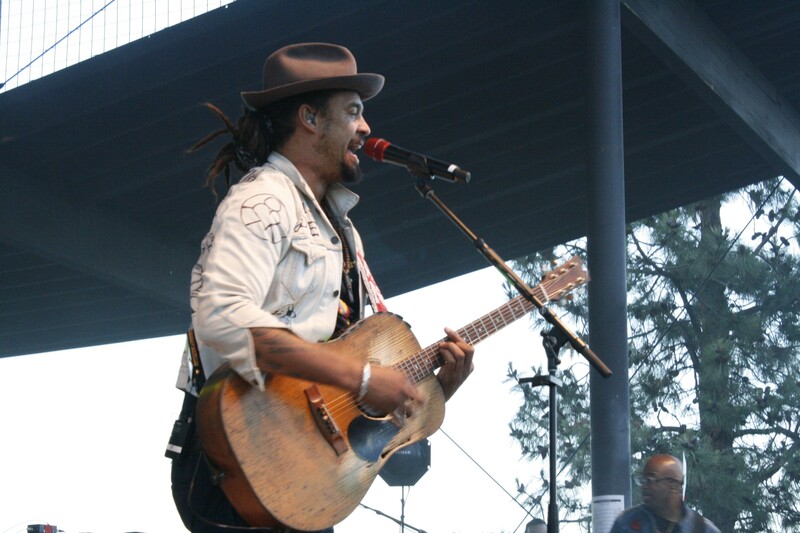 One of them: The annual gathering of “Soulrockers,” with Michael Franti at the Les Schwab Amphitheater. I first saw Franti four summers ago at the Amphitheater, but the tradition started years before that. 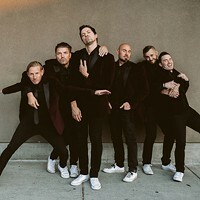 Fans converge on the grassy lawn at the Amphitheater for an evening of extreme positivity, dancing and an interactive experience unlike most shows you’ll see anywhere. 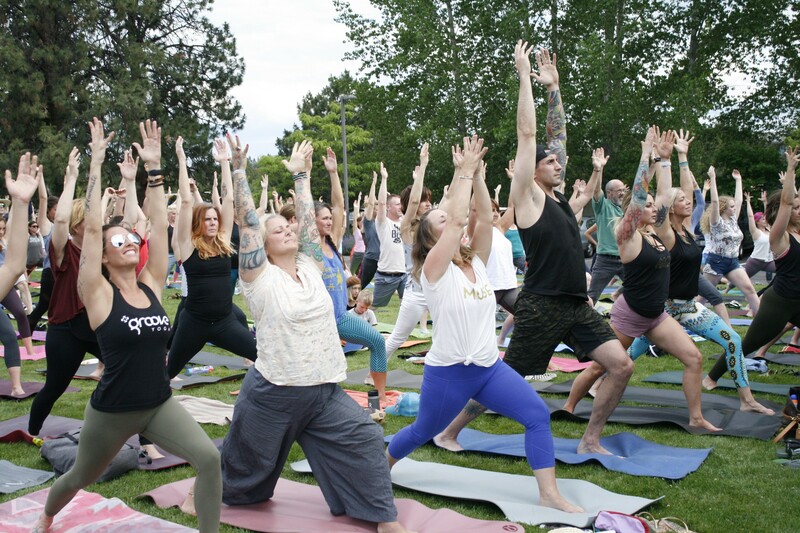 For the last six years, Michael Franti has partnered with the Bend-based women’s organization, World Muse, to offer a yoga session with Franti ahead of his show. This year was no different—though, unfortunately, Franti wasn't able to join the large, outdoor yoga class. The lack of the man himself didn’t stop yogis from enjoying a class outdoors, led by Groove Yoga’s Shanan Kelley. Yogis get their Warrior One on during the pre-show yoga sesh at the Art Station Tuesday. Victoria Canal and then Dustin Thomas and the Animal Kingdom opened the show. Franti discovered Canal on Instagram, inviting her to Nashville to write a song with him. 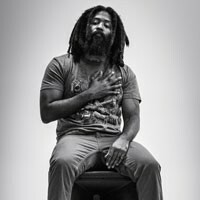 Thomas had a similar, positive vibe to Franti, which made him a great tour mate for the Soulrocker. The positive vibes continued as Franti took the stage, opening with “Once a Day,” where he encourages listeners to, “Hug somebody, at least once a day. 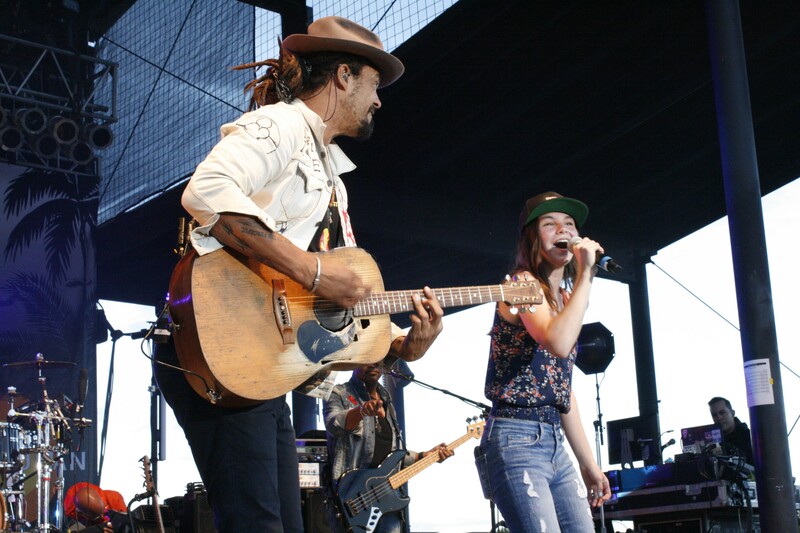 And everybody oughta kiss somebody, at least once a day.” From there, he dove directly into one of his bigger hits, “Sound of Sunshine.” Franti brought a teenage girl named Maisy from Salem up on stage to sing along with him—no doubt a highlight of her summer. From there, Franti took to the crowd, making his way from the stage back to a lighted area in the middle of the Amphitheater. One thing you can guarantee when seeing Franti: being in the front row doesn’t matter even an ounce. Odds are, you’ll get the chance to be up close and personal with the singer no matter where you stand. Franti makes sure to be in the moment, even encouraging people to take a photo of the beautiful sunset happening west of the stage. With that focus on living in the moment, concertgoers attending a Franti show can count on a full, interactive experience. Unlike some shows, where the band just jams for 75 minutes straight with no chatter, a Michael Franti and Spearhead show is the complete opposite. Franti was happy and light, speaking of how he’s inspired by humans everyday. He spoke of being frustrated by the news every morning when he checks his phone and then encouraged the acknowledgment of the billions of little good things people do every day. Franti also brought out his wife, who's seven months pregnant, to sing a song he wrote for her. Franti made sure that this rendition of “Life is Better With You,” my personal favorite Franti song, included groups of people holding hands and dancing like crazy. He even requested the audience to grab a partner to do-si-do at the tail-end of the song. 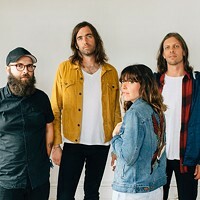 As the concert drew to a close, Bend’s annual feel-goodery day resulted in an abundance of positive vibes, plenty of dancing and audience talk of how we need more of this, especially during these harsh political times. Franti’s voice sounded great, he had plenty of energy and it’s clear he loves Bend and the people in it. While there weren’t many surprises compared to his previous performances in Bend, it's more about the experience; the feeling of community and the healing power of music.